others would find unique and fun. I added a few special vintage finds, but my dream was to design patterns. I knew that was what I was meant to do. My shop has evolved a bit since its opening , but I'll never forget my very first sale. It was to a sweet and talented lady from Colorado--Georgianne Holland. She purchased my blooming flower pillow. 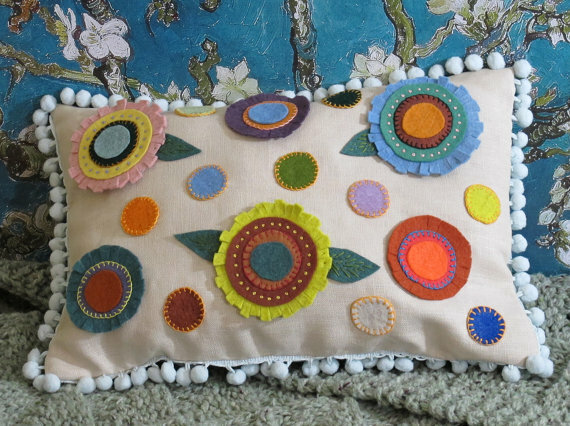 And this... Bursting with color, and texture, and whimsy! And lucky me,she sent me a little gift in the mail this week! Wanna see? Isn't is altogether lovely? I love the button! And the felt! And the embroidery! And the linen back! Thank you, Georgianne! It's good having friends in this world! She has recently updated the look of her business called Nestle and Soar. And she will be blogging today here--with a sweet mention of me and my Ombre Ruffle Blanket Pattern here. 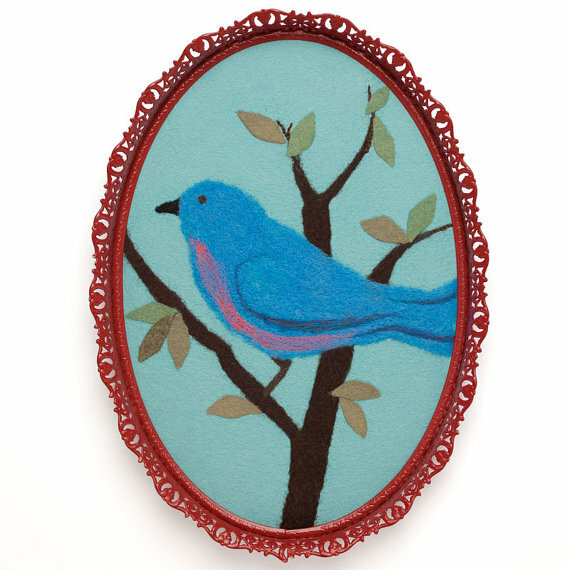 Go see the many wonderful things she makes in her studio. It's fun to get updates about what she's working on daily on her Facebook page, too. IN A WHISPER--I've got a pattern at the testers. Come back to read more about it and look for its release. I'll announce on my Facebook page, too. Oh my. That tree pillow. Love it! Thanks for sharing her shop! Thanks for stopping by, Amber. 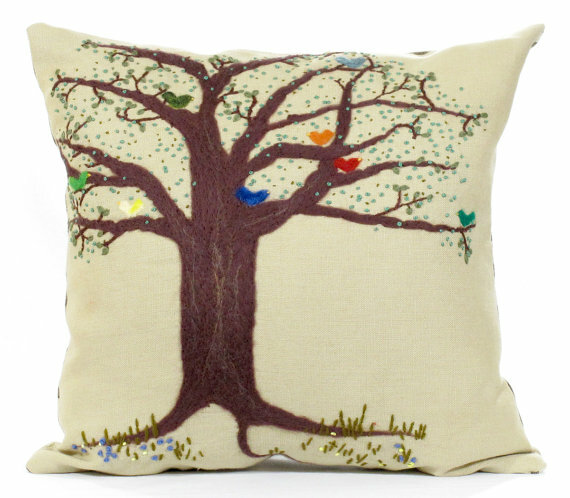 The tree pillow is one of my favorites, too! You know how it is when you are alone in an art studio, carefully placing each and every stitch, and you get lost in the process? Feedback from nice ladies like you is the fuel for my next creative day at Nestle And Soar!